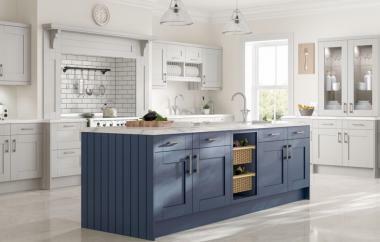 You can opt for a kitchen in one colour or perhaps combine two colours to create a contrast. 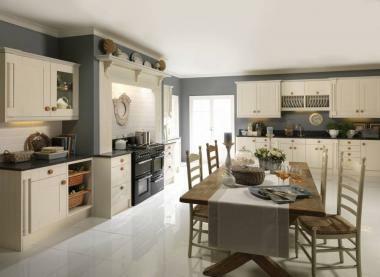 With Pendle's hand painted range the options are many, and the result is a unique kitchen and special to you, its owner. After all, a kitchen is that is hand painted to order, is a truly unique kitchen. Available in Anthracite, Bleach Stone, Deep Lichen, Fjord, Jute, Kashmir, Oyster, Midnight Blue, Monsoon, Pastel, Storm Grey and White. 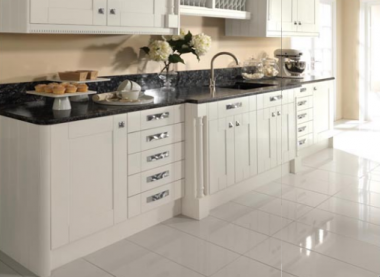 Always a popular colour, this excellent white kitchen with open and closed grain doors reflect more than light into your home. Appliances, toasters, vases, food mixers and pictures all spring life into a White kitchen, so shape and style your design. The popular Oyster colour blends seamlessly into almost any environment. Its warm beige hue enriched by the addition of just a stir of sunset red to create a distinctive shade. Light and airy, Oysters neutral colour makes it easy to marry to a wide range of work surfaces. Oyster can also be combined with Pendle Oak, the two finishes pooling their beauty to create a kitchen that is original and a beauty to own. 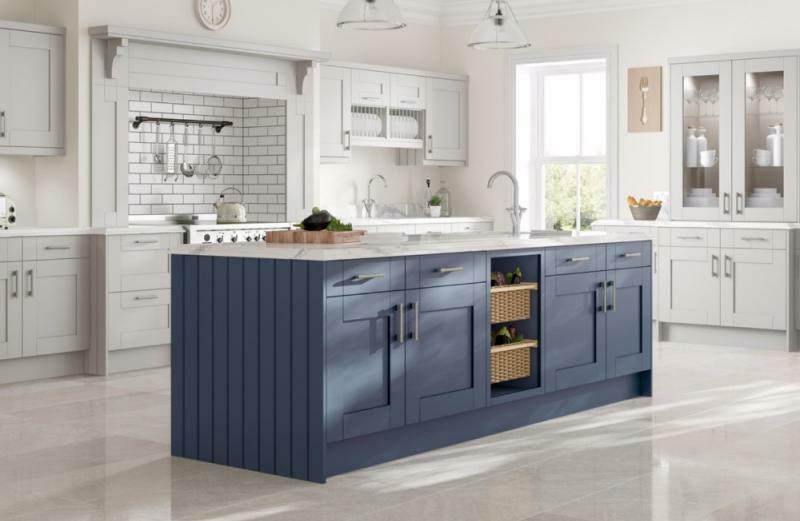 This combination of subtle Bleach Stoned mixed with the striking Midnight Blue looks modern and even contemporary when applied to the Pendle Kitchen where its lustre lends the cabinest, doors and drawers a tactile appearance and the kitchen an overall look of subtle yet stunning grandeur. Experience the timeless elegance and beautiful warmth of Pendle Oak. 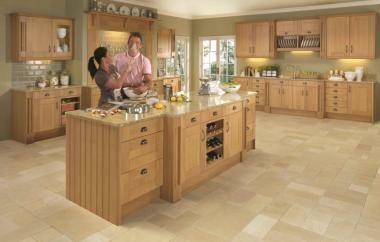 A luxurious kitchen in every respect, the appeal of Pendle Oak extends beyond the inherient beauty of the wood. Few kitchens offer the own so much flexability to craft their kitchen to reflect the individuality of their home and style.